Sleek and contemporary, the recently delivered 49.9 metre Endeavour 2 is currently listed for sale with Ocean Independence. 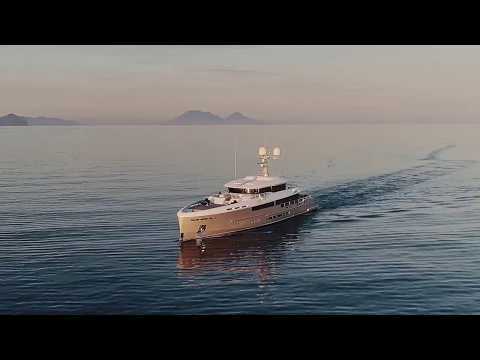 Take a peek inside this elegant vessel and discover what unique highlights she has to offer With a range of 5,000nm at 12 knots, the effortlessly chic Endeavour 2 offers explorer capability without sacrificing speed – notably, her maximum speed is 16 knots. This allows guests to explore further and faster – Endeavour 2 is capable of transporting adventurous owners and charterers all around the world in the utmost comfort and style. With a range of 5,000nm at 12 knots, the effortlessly chic Endeavour 2 offers explorer capability without sacrificing speed – notably, her maximum speed is 16 knots. This allows guests to explore further and faster – Endeavour 2 is capable of transporting adventurous owners and charterers all around the world in the utmost comfort and style. Endeavour 2 is fuel efficient and extremely quiet, with minimal vibrations thanks to a diesel electric power system and fully azimuthing thrusters. This means that she boasts noise levels in the low 30's dba as well as high manoeuvrability when on the go. Additionally, the two main generators are very well muffled and have been installed on custom-designed, double-mounted and flexible foundations.These were specified by Van Cappellen Consultancy, which has defined stringent vibration and noise standards throughout the vessel. She features twin CGT/Caterpillar engines and power is transmitted to two continuous rotation Rolls Royce azipods, both of which are equipped with highly efficient counterrotating propellers. Endeavour 2 is fuel efficient and extremely quiet, with minimal vibrations thanks to a diesel electric power system and fully azimuthing thrusters. This means that she boasts noise levels in the low 30's dba as well as high manoeuvrability when on the go. Additionally, the two main generators are very well muffled and have been installed on custom-designed, double-mounted and flexible foundations.These were specified by Van Cappellen Consultancy, which has defined stringent vibration and noise standards throughout the vessel. She features twin CGT/Caterpillar engines and power is transmitted to two continuous rotation Rolls Royce azipods, both of which are equipped with highly efficient counterrotating propellers. She boasts high manoeuvrability thanks to her Dynamic Positioning System, which allows her to "hover" over a protected area of coral reef for a number of hours without having to drop anchor. Additionally, this innovative system makes it simple for her to wait in port and manoeuvre into a berth, unaffected by strong winds and currents with the assistance of a 165kW counter-rotating bow thruster. She boasts high manoeuvrability thanks to her Dynamic Positioning System, which allows her to "hover" over a protected area of coral reef for a number of hours without having to drop anchor. Additionally, this innovative system makes it simple for her to wait in port and manoeuvre into a berth, unaffected by strong winds and currents with the assistance of a 165kW counter-rotating bow thruster. Her design goes above and beyond in terms of top level specification. Aside from her long range capability and economical fuel consumption, she boasts extremely robust main equipment that is fully redundant throughout. Additionally, she has worldwide serviceability of all main equipment, high quality HVAC systems in place, top anchoring and mooring capabilities, plenty of storage on board and flexible shore access methods, including an amphibious car. Her design goes above and beyond in terms of top level specification. Aside from her long range capability and economical fuel consumption, she boasts extremely robust main equipment that is fully redundant throughout. 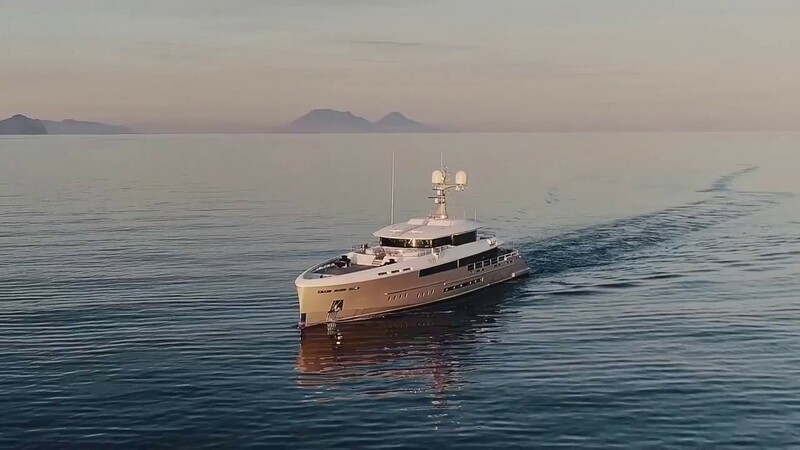 Additionally, she has worldwide serviceability of all main equipment, high quality HVAC systems in place, top anchoring and mooring capabilities, plenty of storage on board and flexible shore access methods, including an amphibious car. She boasts a contemporary, elegant and light interior by Achille Salvagni that can sleep up to 10 guests in five beautifully-appointed cabins, which includes a chic full-beam owners' suite on the main deck, complete with private balcony and walk-in shower, and a VIP suite with its own private saloon (though this can be converted into two double cabins). An extensive use of glass throughout the yacht brings the outdoors inside, offering guests stunning panoramic views through floor-to-ceiling windows. 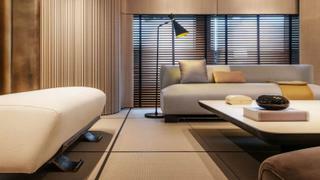 Her sleek main saloon features soft white and grey sofas in the lounge and a dining area for up to 12 people. Salvagni has opted for a neutral colour palette with delicate splashes of colour throughout, alongside warm and subtle lighting choices. 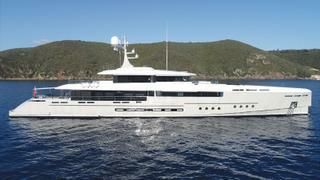 Endeavour 2 is currently lying in Viareggio, Italy, and has an asking price of €29,500,000. She is the perfect superyacht for anyone looking to travel the world while surrounded by the latest in technology and style. Contact Ocean Independence for more information. She boasts a contemporary, elegant and light interior by Achille Salvagni that can sleep up to 10 guests in five beautifully-appointed cabins, which includes a chic full-beam owners' suite on the main deck, complete with private balcony and walk-in shower, and a VIP suite with its own private saloon (though this can be converted into two double cabins). An extensive use of glass throughout the yacht brings the outdoors inside, offering guests stunning panoramic views through floor-to-ceiling windows. 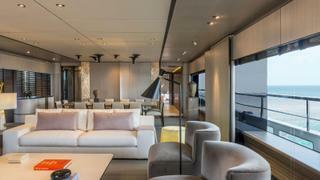 Her sleek main saloon features soft white and grey sofas in the lounge and a dining area for up to 12 people. Salvagni has opted for a neutral colour palette with delicate splashes of colour throughout, alongside warm and subtle lighting choices. 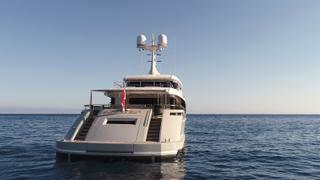 Endeavour 2 is currently lying in Viareggio, Italy, and has an asking price of €29,500,000. She is the perfect superyacht for anyone looking to travel the world while surrounded by the latest in technology and style. Contact Ocean Independence for more information.